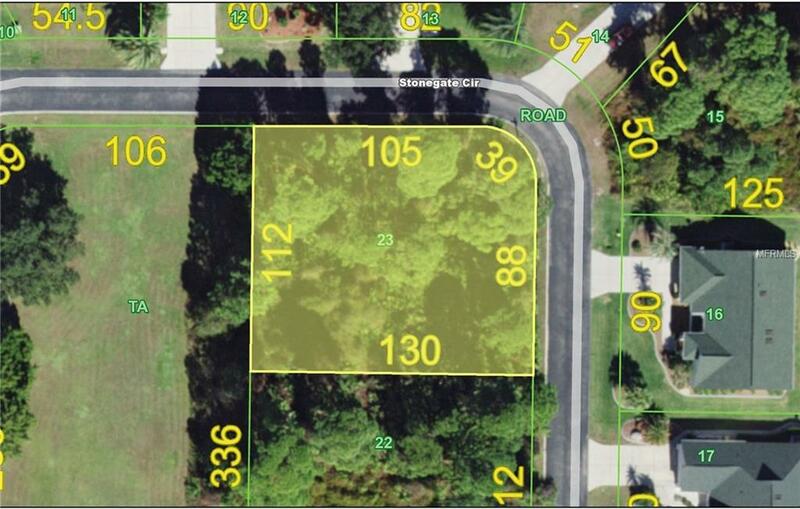 Great building lot 1/3 acre located in the fabulous gated community of STONEGATE. Private greenbelt view of land owned by the Stonegate POA. Small beautiful community of only 23 home sites. NOT in a flood zone. Build your Florida dream home with swimming pool. 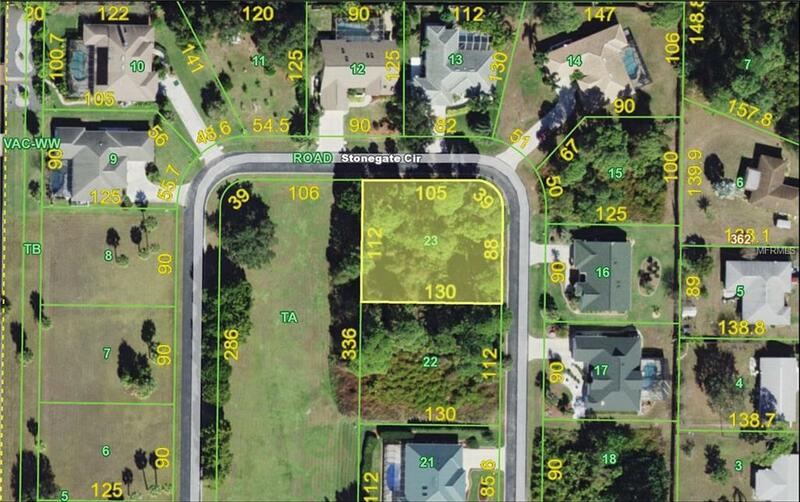 *Note that adjacent lot #22 (2231 Stonegate Circle) is also available for purchase MLS #C7408760 for a spectacular parcel. Stonegate is minutes from shopping, dining, medical care, waterfront parks, fishing piers, boat ramps, entertainment, I-75. This is the home site you have been searching for!